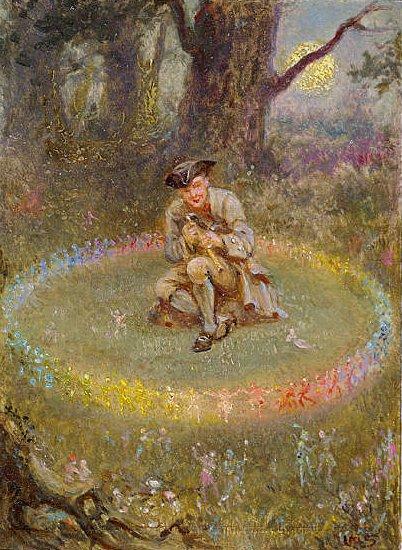 In almost every culture, punishment for entering a fairy ring is a direct consequence of crossing the boundary from the human world into the land controlled by fairies. Outside the circle of mushrooms life goes on as we expect it to; inside the circle, where fairies dance, the rules of social conduct, physics, and even human fate change. That ring marks a boundary, and crossing it is a violation that must come with consequences. The precise nature of the consequence changes from tale to tale, and sometimes the fairies merely humiliate the human. An eighteenth-century belief in Normandy, France portrays fairies no more dangerous than cheerful mischief-makers. 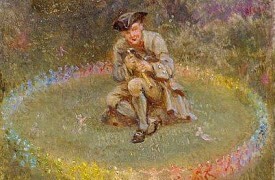 As recorded by Thomas Keightley, the Norman belief ran that the fairies’ lovely appearance allures humans to join their dance and enter the fairy ring. Anyone who does so will be welcomed and have fun at first, but the dance will start to move faster, and then faster, until the speed confuses his human senses and he falls to the ground exhausted. The playful fairies, riled by the unconscious body, throw him high into the air through the combined effort of many tiny, magical arms. The unhappy human interloper wakes in the morning to find the fairies gone, the merriment over, and himself covered in bruises. 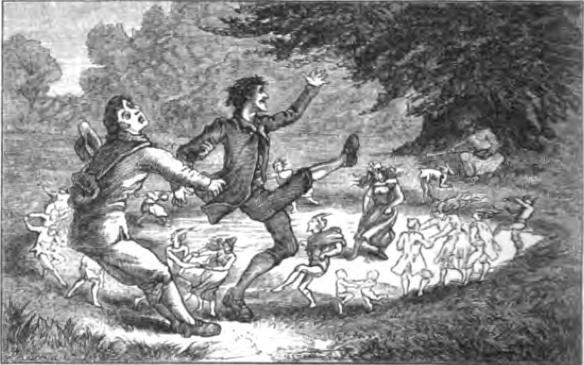 The article “Where do Fairy Rings Come From?” recounts a similar lighthearted tale of intrusion from England. Rarely is the retribution of the fairies so immediate and so fleeting. 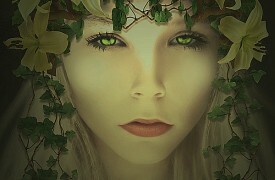 Fairy tales take a darker turn when the fairies curse those humans who dare to intrude upon their circle. Locals in Somerset, England, used to give fairy rings the forbidding nickname “galley-traps” as late as the twentieth century. They believed that when a man who had committed a crime passes through a fairy ring, he is doomed to hang within the year. 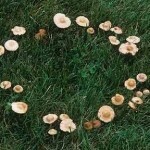 In Scandinavia, you didn’t have to be a criminal to fall victim to the curse: anyone entering a fairy ring would be haunted by illusions forever after, unable to tell reality from imagination. 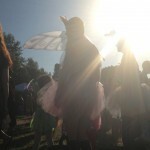 The curse may be related to a specific aspect of life, like food: one tale warns that after taking part in the fairy’s dance circle, a man will crumble to dust at the first taste of non-fairy cooking. 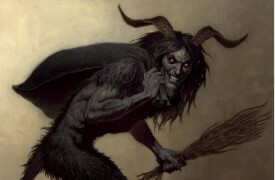 Other folk tales warn of more general punishments such as disease, bad luck, or an early death. 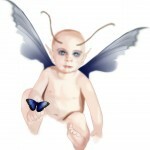 In Welsh tradition, the fairies do not personally curse the curious human, or even harm him. Rather, the punishment is a direct consequence of crossing the boundary from the human world into the land controlled by fairy rules. 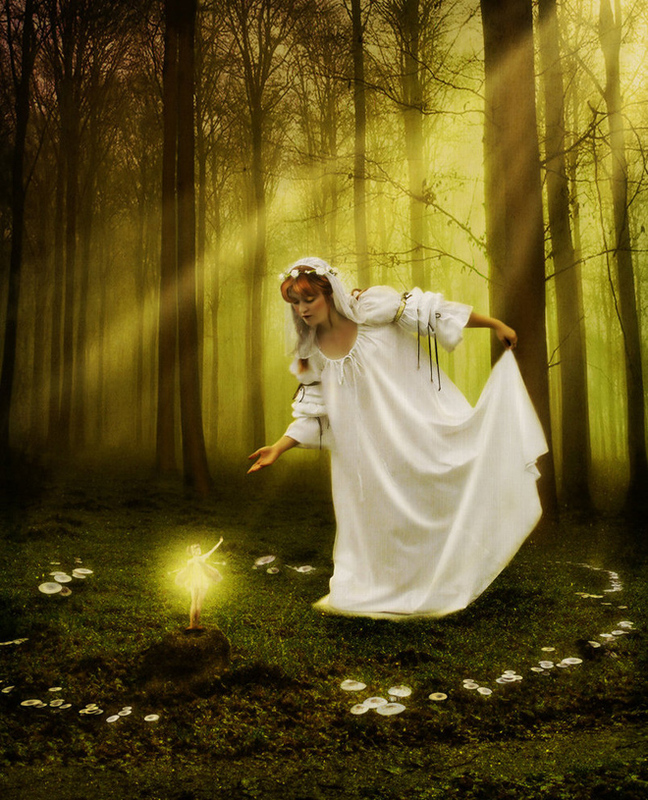 Time moves differently in the fairy world so that during only a few minutes spent dancing in the fairy realm, months can pass in the human world. 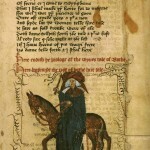 Such is the case for Rhys of the early nineteenth-century tale “Llewellyn and Rhys.” As Katherine Briggs, one of the foremost folklore scholars of the twentieth century, recounts it in her book The Vanishing People, Rhys disappears one night on his way home from a long day of farm labor. In all these tales, a ring of toadstools marks off a space distinct from the human world. Therein lies its fascination, and its peril. Whether the curious human escapes with only bruises or whether his time in fairy territory addles his brain permanently, he cannot stay with the fairies. 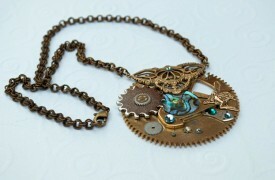 They are beautiful and intriguing but ultimately unknowable.